It’s hard keeping up with Blue Rodeo! They’re always working, either as a band or on their own projects. They’ve released new albums consistently without gaps. That’s 15 studio albums (one of them a double) spanning 30 years. Countless amazing songs…but mathematically their growth have kept me from growing with their new music as much as the old. There are only so many hours in a day, and days in a week, and it’s hard to imagine the day that 1000 Arms will surpass Five Days in July for number of spins. It’s inevitable that when listening to newer Blue Rodeo music, it doesn’t feel as close to you as the early stuff. Blue Rodeo maintain their knack for incredible songs and playing on 1000 Arms. Greg Keelor conjures up the same old, not-quite-broken spirits as before. “Nothing I ever do is good for you, will I ever realize? You’re never satisfied.” Biting lyrics, chiming mandolin and perfect Cuddy/Keelor harmonies combine to make the opener “Hard to Remember” a future classic. Jim Cuddy takes the wheel next on an upbeat number called “I Can’t Hide My Feelings Anymore”. When has Jim ever hid his feelings? Not the point — another great tune. We could go on and continue to describe this batch of new tunes, but rest assured there are no duds. (Do stay tuned for a heavy exotic turn on closing track “The Flame”.) I hope that, over time, these songs become as much a part of me as the old tunes. There’s little difference in terms of quality, and the musicianship is always tops. 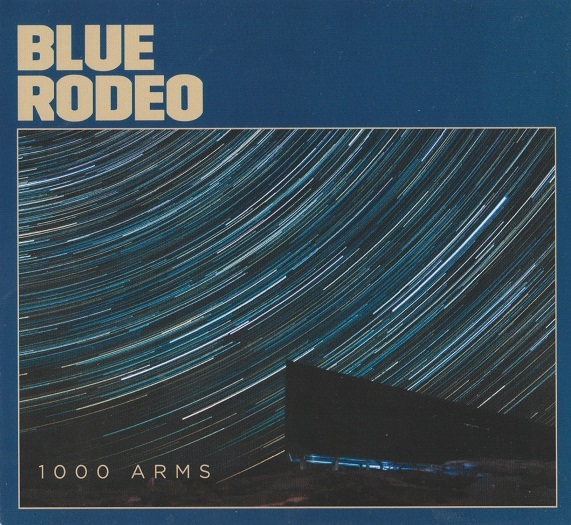 Colin Cripps would be responsible for many of the tasteful guitar solos, but 1000 Arms is the last Blue Rodeo album to feature mandolin player (and Kitchener, Ontario resident) Bob Egan. (That’s why he’s front and center of the band photo.) Bob departed after making this one, and he went out in great style. Mike and Aaron will be doing simultaneous daily reviews of albums these two intrepid music reporters have sent to each other. Buckle up, buttercups, it’s gonna be a blast! I spent a lot of days in the summer of 1999 working in the Record Store in Cambridge. That was T-Rev’s store, normally, but he was out of town. He was Ajax, I think, helping build our next franchise. T-Rev is handy so his role was, in theory, supposed to transition to building new stores full time. That never fully happened, which in a way was a good thing, because they never had a plan for filling T-Rev’s time slot as store manager in Cambridge! In the interim, they sent me there and I was responsible for managing two stores. Not the first time and certainly not the last time. ’99 was a great summer for double live albums. There were two in particular I played daily: Sloan’s 4 Nights at the Palais Royale, and Blue Rodeo’s Just Like a Vacation. Despite the added stress and mileage on the car, these two double live albums helped ensure that summer was hot and fresh with great music. Blue Rodeo are one of the greatest live bands I’ve seen and I had long been awaiting a full-on double CD set of the live concert experience. Just Like a Vacation is the absolutely perfect document of the Blue Rodeo experience circa 1999. Hard edged and jamming, Blue Rodeo were at this time a mixture of country crooning and long noisy Neil Young jams. The set is taken from a variety of shows and assembled into a coherent running order. Perhaps the first track, the upbeat country of “Til I am Myself Again” was recorded in Stratford; Jim warns the crowd they may be snowed in that night, a common threat at the Stratford festival during their annual show there! The first seven Blue Rodeo albums, from Outskirts (1987) to Tremolo (1997) are all essential listening. This live set is loaded heavy with some of the best songs from that era, from the tender Jim Cuddy ballads (“Try”, “After the Rain”, “Bad Timing”) to the more epic Greg Keelor blasts of power: “Hasn’t Hit Me Yet”, “Diamond Mine”, “Girl in Green”. There’s country jazz (“Piranha Pool”), songs for singalongs (“Cynthia”) and even comedic stories of heartbreak (“Florida”). Jaw-dropping musicianship ensures there is never a dull moment. Even the slow dance hit ballad “After the Rain” boasts a long, noisy guitar jam at the end. Blue Rodeo are fearless on stage and this album delivers that. Some fans noticed that earlier tracks from Outskirts such as “Rebel” and “Joker’s Wild” were seldom played as Blue Rodeo amassed more and more studio albums. Thanks to HMV, one bonus track is available to add to this live collection: “Joker’s Wild”, from their promotional Stardust Picnic Sampler CD. The back cover of the Stardust CD claims there was no room left for “Joker’s Wild” on Just Like a Vacation, but that’s not true. The first disc is under an hour, and the second is 1:07. Lots of room on either disc for a four minute bonus track! Regardless, here is “Joker’s Wild”, a rarity to be sure since it was never available for purchase. “Joker’s Wild” is done acoustically, very different from the original version. It transforms from a spy movie theme to a swampy jam with slide and fiddle. Sure, you could go and buy a Blue Rodeo Greatest Hits CD with your hard-earned dollars. That’ll get you 14 songs; this’ll get you 22. Blue Rodeo songs are just as great live as they were in the studio, just different. You won’t have to suffer through a too-loud audience track, so get Just Like a Vacation instead and experience Blue Rodeo in the venue they were intended for — the stage. There are even liner notes with a story or two about every song. It’s a package to be enjoyed for a long period of time, and years later you will still smile. 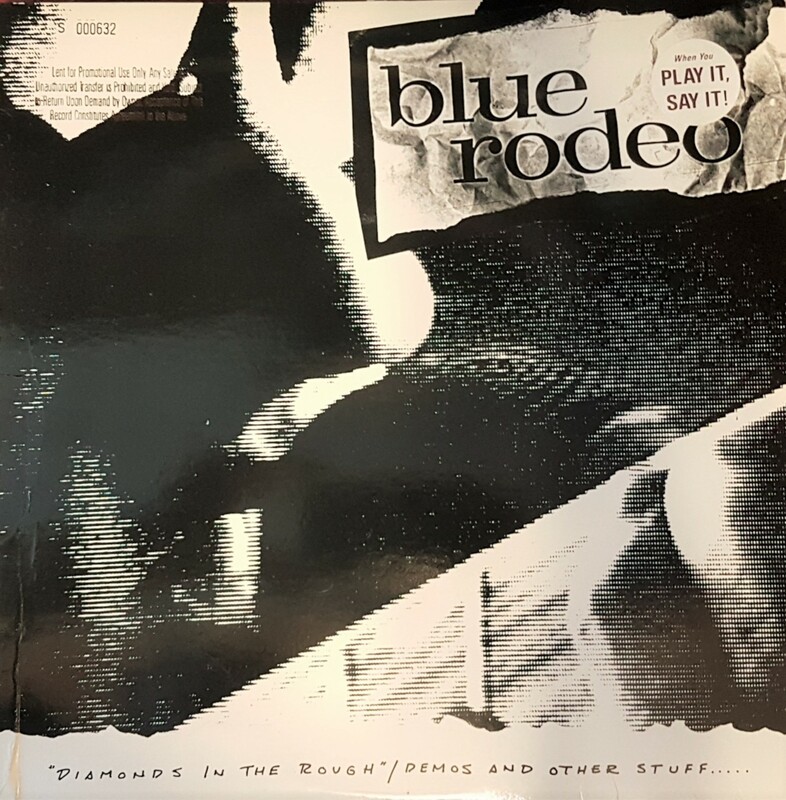 On June 14 1991, touring to support their third album Casino, Blue Rodeo came around to headline at the COE – Central Ontario Exhibition – in Kitchener. The opening act was Strange Days featuring Shannon Lyon, a local singer-songwriter whose earlier tunes didn’t appeal to the older ladies in the crowd. The younger folks dug Strange Days, but there was clearly another segment of the audience who thought they were too loud and raucious. When Blue Rodeo took the stage, it was with the near-legendary Bob Wiseman on keyboards. Wiseman departed Blue Rodeo about a year and a half later, so we were lucky to see this unique individual live in concert. Also present were leaders Jim Cuddy and Greg Keelor, bassist Bazil Donovan, and drummer Mark French. French would be gone soon after, too. It was a very short-lived lineup: one album only. I had just graduated highschool, and we had four tickets to the show; a great way to kick off the last summer holidays before university. My sister and I attended with my friend Bob and a buddy of his. 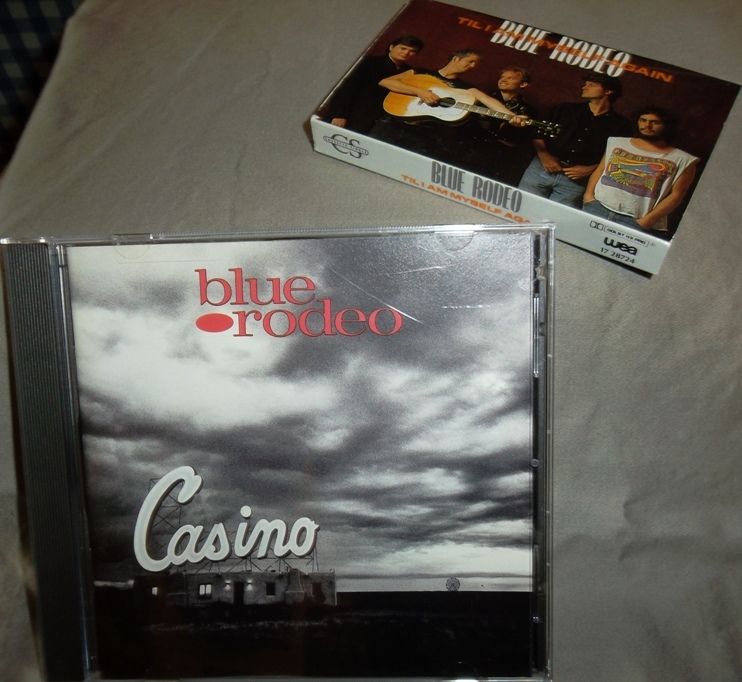 Blue Rodeo played a generous selection from their first three albums: Outskirts, Diamond Mine, and Casino. In addition Bob Wiseman was given the spotlight for a moment to pick up a guitar and sing a brand new solo song called “We Got Time”. The big surprise of the night was when a few (probably loaded) guys in their mid-20’s decided to go stage diving at a Blue Rodeo show. The band were noticeably surprised themselves by the stage divers. Not something you’re used to seeing at a country rock show where a percentage of the audience was over retirement age. After the big encores, the house lights went on. We were all but ready to leave the COE, when Bob noticed Jim Cuddy and the rest of the band exiting through a side door. “I think I just saw the guy from Blue Rodeo go through that door. Let’s follow him!” he said. There didn’t seem to be any reason not to, so we made our way out the door, down the hallway of that old hockey arena, and followed the band right into the dressing room! I was a bit more nervous than my friends, but nobody tried to stop us or even talk to us. My eyes went wide as I scanned the dressing room. It was filled with food and drink, and fans! I already liked the band’s music, but I became a Blue Rodeo fan for life that night. Not only are they a consistently great live act, but nice guys too. I met Jim a few years ago at one of his solo concerts, and he still treats his fans like gold. That’s the kind of band that has earned my undying support. * In 2012, Blue Rodeo came out with their box set, 1987-1993, containing their first five albums plus three discs of rarities. Having re-bought the albums, I sent my originals over to Aaron! What I forgot was that I had stored my signed stuff with those CDs! Fortunately Aaron found the autographs inside, and sent them back pronto! Thanks man. Blue Rodeo are not a “Greatest Hits” band. Indeed, before this album came out, Jim and Greg routinely used to say, “We’ll only do a greatest hits when we’re finished.” Well, record company pressure must have gotten to them (or they may have just outlasted their own expectations), and they released this typical hits compilation: 12 hits and 2 new songs, just like every other band’s hits compilation. The problem with Blue Rodeo is that they are so much more than the sum of their hits. Sure, “Rose-Coloured Glasses” (track 2) is a hit single, but what about “Rebel” or “Heart Like Mine”? (This is the album version of “Rose-Coloured Glasses”, not the very rare single remix, only available on 7″ single back in 1986). 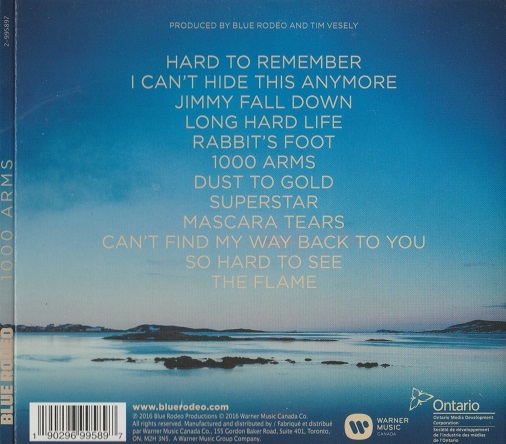 There’s simply no room on a single disc hits album for the songs that define the Blue Rodeo sound. Blue Rodeo were and still are more about albums, the bigger picture. Especially in the early days, each album was a different direction from the last. Each of the first five (and arguably six) first Blue Rodeo studio albums stand as critically important pieces of work. Having said that, you do get a generous slice of hits here. Fans know these songs already, so I won’t spend too much time talking about them. “Lost Together”, the full length version of “Diamond Mine”, “Bad Timing”, “Try”…these are all songs that saturated the radio in the late 80’s and early 90’s. Peppered along with them are tunes like “Trust Yourself” from Casino, a minor single that some might have forgotten. I was pleased that “Side of the Road” and “Dark Angel” were here, which represent Blue Rodeo’s less commercial side. For those who love Jim’s ballads, some of his most notable are here. For those who prefer Blue Rodeo’s radio country-rocking side, there is “Til I Am Myself Again”, “It Could Happen to You” and the classic “Hasn’t Hit Me Yet”. Greatest Hits vol. 1 is a fair slice of great tunes. Certainly there are none to skip…just that there are plenty more where these came from. The two new tracks were a revelation. Blue Rodeo had started experimenting with a horn section, and the Greatest Hits tour featured these additional musicians on their back catalogue. The two new songs also feature the horns and strings. This led into their next album, the aforementioned Palace of Gold, which utilized these instruments throughout. A re-recording of “After The Rain” benefits greatly from their soulful sounds (not to mention extended solos and jamming). The Bee Gees cover “To Love Somebody” (lead vocal by Greg) has ended up being one of the best covers Blue Rodeo has done to date, live or otherwise. The new sound with horns would be fully realized on Palace Of Gold, but fear not if you don’t like this sound: they soon reverted to the classic configuration of the band. My best advice is, if you want to really check out some Blue Rodeo, pick up those early albums one by one when you find them cheap (it’s not hard to do). If “Try” is your favourite song, pick up Outskirts, and then explore the rest of the gems on that classic record. Likewise if “Lost Together” is the only song you know, pick up that album and be surprised by the deep album cuts that you would have missed otherwise. And most of all, see the band live. On Greg Keelor’s solo debut, he kicks back with some mellow tunes and invites the listener in on a personal trip. 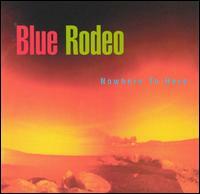 Blue Rodeo has always done some slow material, but this album is even slower, to an extreme. For example, the lead track “When I See You” starts with some extremely sluggish brush drums, before some spare piano chords come in. When Greg’s voice comes in, he’s whispering. There are several tracks that play with this tempo on Gone. The first song that breaks pace is “Blue Star” which has some nice mellow tremolo guitar and a typically sweet Greg vocal melody. The next track, “Home” is A capella, a track that I have seen Greg sing live with Blue Rodeo (on the 1998 Tremolo tour). It’s an amazing performance. Greg’s voice, while imperfect, is full of character. It’s the best song on the album, just due to sheer passion. A personal favourite. “No Landing (Lucknow)” is what you would expect for a Blue Rodeo ballad, another strong track. “White Marble Ganesh” is the one that might leave listeners scratching their heads. As the title suggests, Greg is experimenting with Indian sounds and tabla drums. Very strong vocal hooks abound. This should have been a huge hit! Alas, we don’t live in a perfect world. Of note to Sarah McLachlan fans: Sarah appears on vocals, piano and even lead guitar on several tracks! So why only three stars? This CD has five very good songs, those being “Home”, “No Landing (Lucknow)”, “Blue Star”, “Star Of The Show”, and “White Marble Ganesh”. The rest are all in the slow mode, and are just too similar. It’s a great album, a powerful statement, and a glimpse into what Greg Keelor is all about, but unless you are in the right mood you may be bored with the slow stuff. I first saw Blue Rodeo live in July 1991, just after highschool graduation. Instant fan! I saw them again in 1996 and 1998, supporting Nowhere To Here and Tremolo, respectively. Both albums grew on me tremendously after I saw the show. Before that, I struggled with them a bit, not quite liking them, not quite disliking them, and not wanting to give up on them. Funny how that goes. 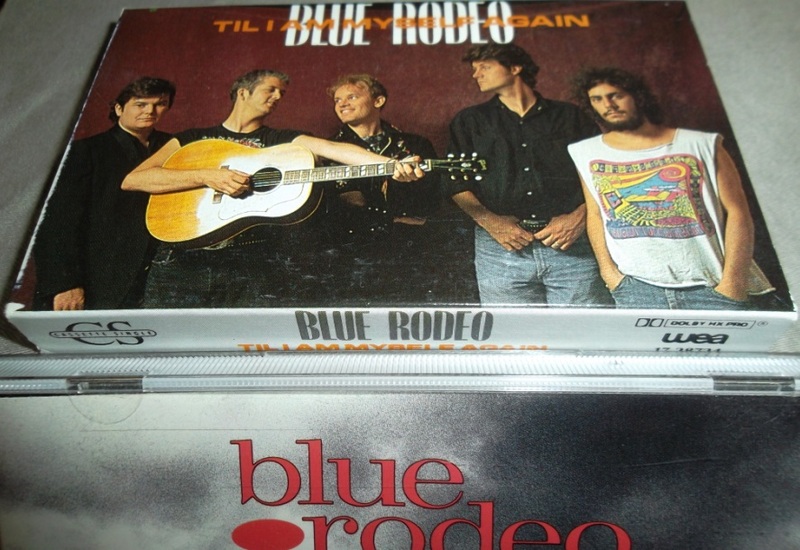 I rate them today in my top 3 Blue Rodeo albums, along with Five Days in July. Tremolo requires your complete attention, this is not background music, although it will still sound great in the background. This is one of those deeper albums, one that needs multiple listens. I find it reveals different faces when I listen to it in different settings as well. The cottage is better than the car, for example. For me. Nowhere To Here and Tremelo, albums #6 and #7, both originated at the same time as Five Days. 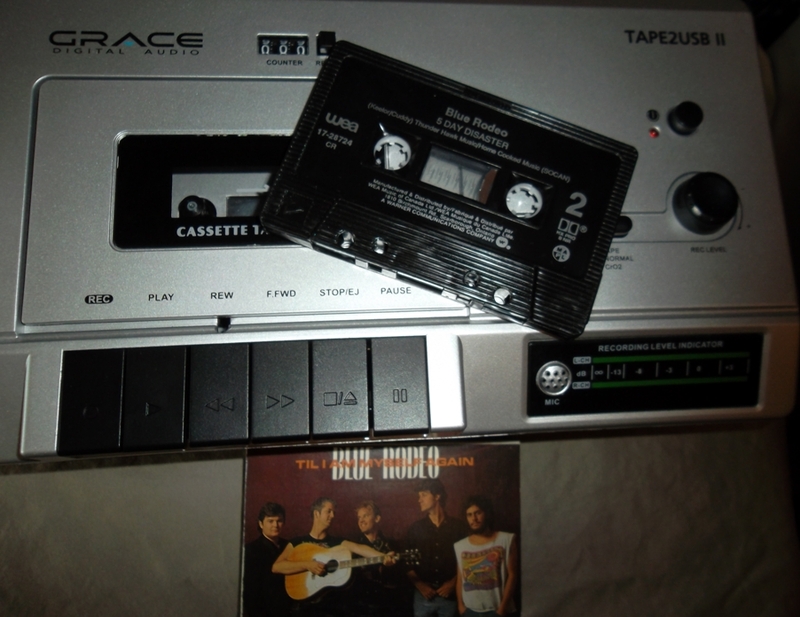 The recent Blue Rodeo box set, 1984-1993 contains early different versions of “Moon & Tree” and “No Miracle No Dazzle”. Tremolo is much like a brother record to Nowhere To Here, an acoustic brother record. They both share the same laid back origins, the same jammy style and meandering arrangements. They also share the same lineup which was my favourite: Jim Cuddy, Greg Keelor, Bazil Donovan, Glenn Milchem, keyboardist James Gray and pedal steel player Kim Dechampes. Most songs are mellow, laid back, spare in arrangement and very acoustic. At times, this is also the most “country” sounding of Blue Rodeo records. Witness Jim’s “Shed My Skin”, which is beautiful. “No Miracle No Dazzle” is an upbeat one from Greg, another awesome tune, while “Falling Down Blue” is for slow dancing. All of these are loaded with spirit, be it Jim’s melancholy wordplay or Greg’s gleeful guitar playing. All the players shine on this album, not necessarily as solosists (although that is often the case), but how they all mesh together. The blend of instruments is flawless. “Brother Andre’s Heart” and “Frogs’ Lullaby” work together as one Greg tune, quite extended and jammy, 12 minutes in total. After a tune like that, they had to end it with a corker! It’s the best song on the album as far as I’m concerned, and conspicuous by being so different: “Graveyard”. To sleep with all my friends. Greg was pissed off at someone, lemme tell you, and this sounds like some kind of punk-a-billy song. This album has 14 songs on it, and I’ve only talked about around half of them. The rest of them are also great, but different songs will appeal to different people. I wanted to talk about the ones that get me almost every time. You might find that you really like a song like “Fallen From Grace” because it reminds you of the early Blue Rodeo country-blues vibe. If you love Blue Rodeo, I consider this album a must. It’s not an instant pleasure, but it is a very rewarding listen. It continues to reveal new layers of music and lyrical poetry to me today. In my humble personal opinion, I don’t think Blue Rodeo ever attained this lofty standards again. 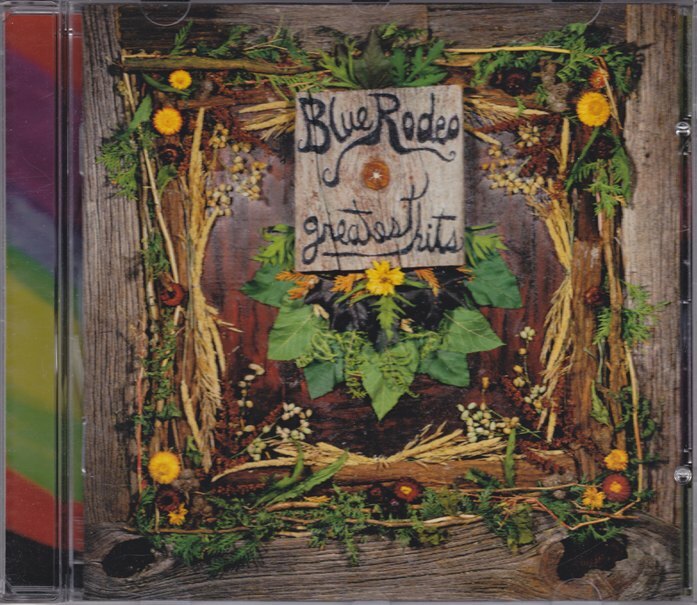 This album, recorded during what I consider to be Blue Rodeo`s jammy psychedelic phase, is one of my favourites (it’s up there with Five Days and Tremelo, both of which are related). It isn’t an album to like instantly, but only through multiple listens. It suddenly clicked with me after seeing the band play these songs live. This album began life during writing sessions in 1993, but the band was so inspired with some spontaneous new songs, they ended up writing and recording Five Days In July in, well…five days in July. That albun was released first, and the band later returned to the other songs written during those sessions. Five Days was a huge hit, so when Blue Rodeo finally got back to making this album, the difference took fans by surprise. When I saw the band live on this tour, they blew me away. I hadn’t seen them live since the 1991 Casino tour, so this was my first exposure to the new six-man lineup. Greg Keelor was on fire, playing gonzo Young-esque feedback-laden solos that lasted up to five minutes. It was incredible. This album distills that kind of sound down to 5 and 6 minute songs. The first two tracks, “Save Myself” and “Girl In Green” were not about to become hit singles, as both are slow and melancholy. “Save Myself” is painstakingly slow, much like Greg’s first solo album, while “Girl In Green” is funky with a powerful, almost yelled chorus, backed by James Gray’s organ. Both songs are winners to this listener, because they are completely uncommercial, while retaining melody and tons of emotion. Interestingly: There was both a 12″ and promo CD single of “Girl In Green”, a rare trance-y “Space Knowledge” remix. Very cool, very weird — I have both. “What You Want” sounds a lot more like traditional Rodeo, Jim’s first upbeat rocker of the album. Greg’s hit single “Side of the Road” is track 4, a moody 6-minute tour-de-force with an incredible chorus and plenty of solos. Like a one-two punch, Jim comes back with “Better Off As We Are”, possibly the best song on the album, if not the best rock song that Cuddy’s ever written. I love Jim’s lyrics, conversations with his brother and recollections of young adulthood. ballad, lyrically similar to “Bad Timing”, but musically based on a catchy little piano line. could have been a hit. The album closes with two more slow ones, “Train” and the 8 minute + “Flaming Bed”. These songs drone off into the distance, meandering lazily, like the hot humid July that spawned them. This ends an album largely misunderstood as ignored but the general record buying public. And a shame that is. As you can see, this isn’t the light-hearted countryfied Blue Rodeo of Casino or Outskirts. Greg’s health problems (diabetes) coincided with an interest in slowing things down, and that’s what this album is. It will either click with you, or it won’t, depending on the setting. Find the right setting, however, and you will enjoy a surprising listening experience, full of depth and emotion, melody and lots of meandering jams. I suggest listening during an evening, on the porch. In July. Of note, if there’s a third voice in the background thats sounds familiar, it should: It’s Sarah McLachlan. From my years at the record store, I’ve seen scores of copies of this single on CD. It has four tracks, all album tracks. The cassette single on the other hand was something special. It had a unique bonus track called “5 Day Disaster” that (so far as I know) was exclusive to the cassette format. 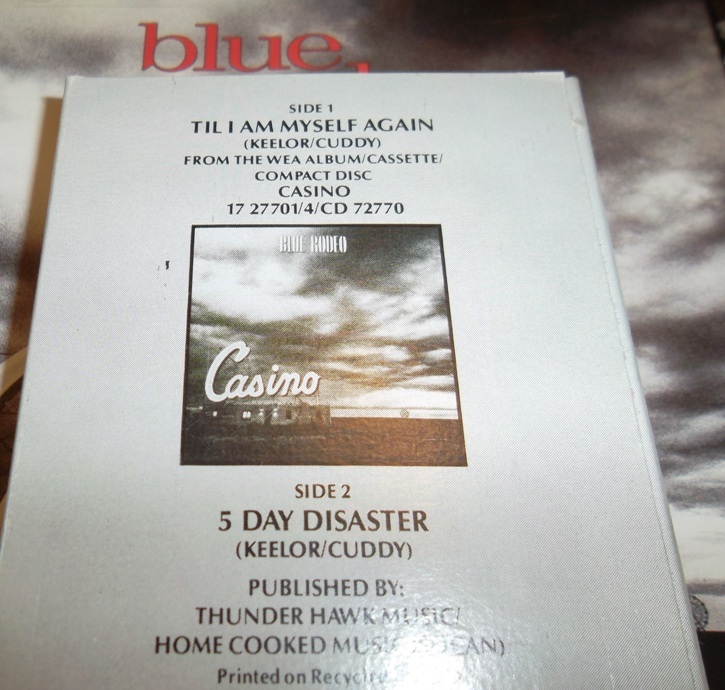 In 1990, (Casino era) Blue Rodeo had gone down the road of simpler, short pop-country-rock songs, and “5 Day Disaster” is one of these. It’s a peppy, uptempo Jim Cuddy blaster with an unforgettable chorus. It has strong upfront keyboards by Bobby Wiseman, including a piano solo. 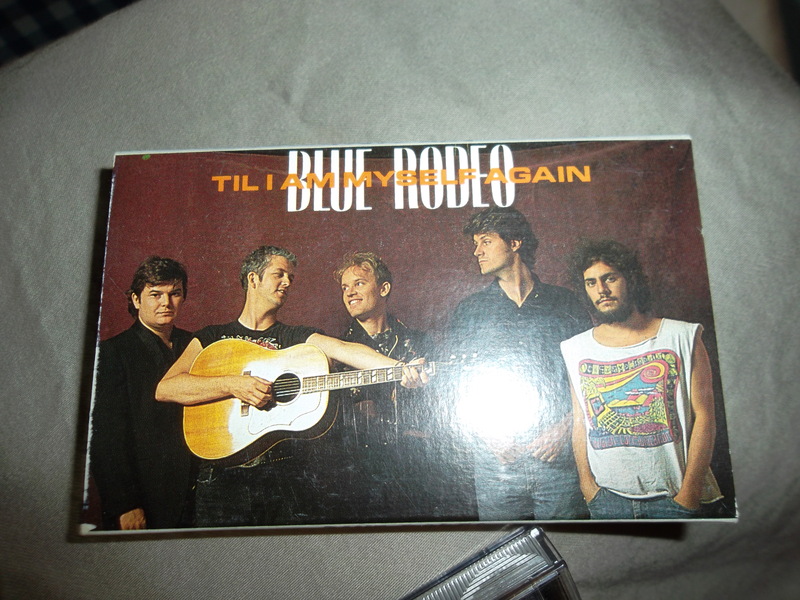 The A-side was of course one of Blue Rodeo’s biggest early hits. It too is a short poppy Jim Cuddy song. 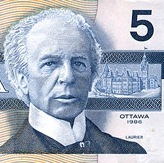 Both songs are credited to the duo of Greg Keelor/Jim Cuddy. It should be assumed that both songs were also produced by Pete Anderson, although the credits on “5 Day Disaster” are not clear, they both sound cut from the same cloth. Note that I have the US version of Casino below. Notice the different logo from the cassette? In the US they were still using the Diamond Mine logo!